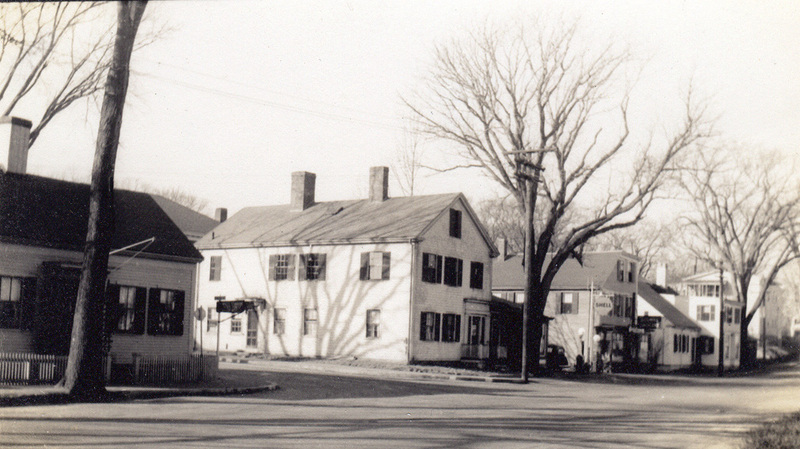 This view of the corner of South and Sandwich Street, looking northwest, dates to 1939. The second house from the left was torn down to build a gas station, which in turn was built over with the present office building. The small Cape Cod house (5th from the left) and the building to the right (north) of it were removed ca. 1970.